While spirit measures may solve many of the dangers of liquor drinking you may still have to leave your chair to reach your tipple of choice. 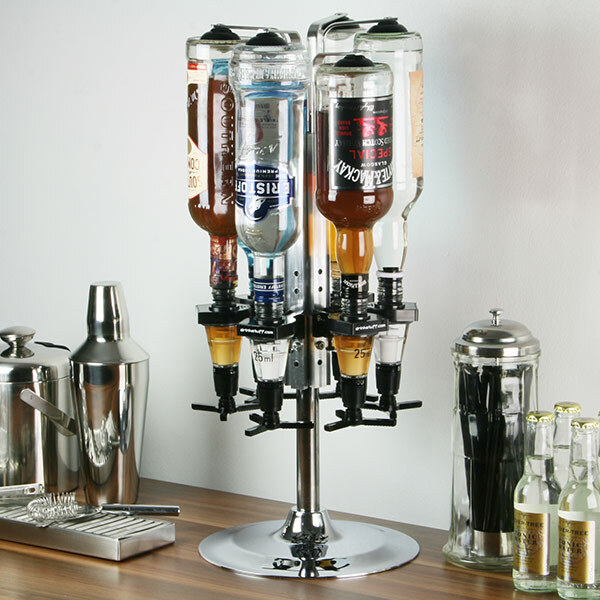 For the complete spirit lover the Chrome Bottle Carousel ensures that you will always have a choice of six drinks right at hand! 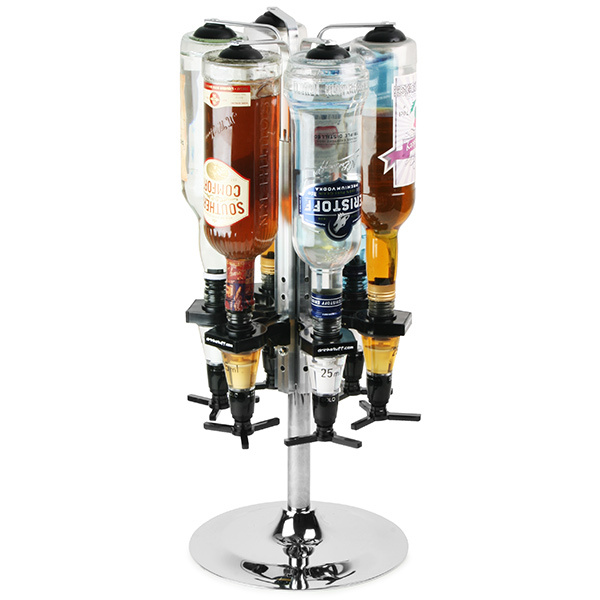 Furthermore this holder caters for 70cl/1litre drinks bottles so even making the effort to replace a bottle will be a rare occurrence! 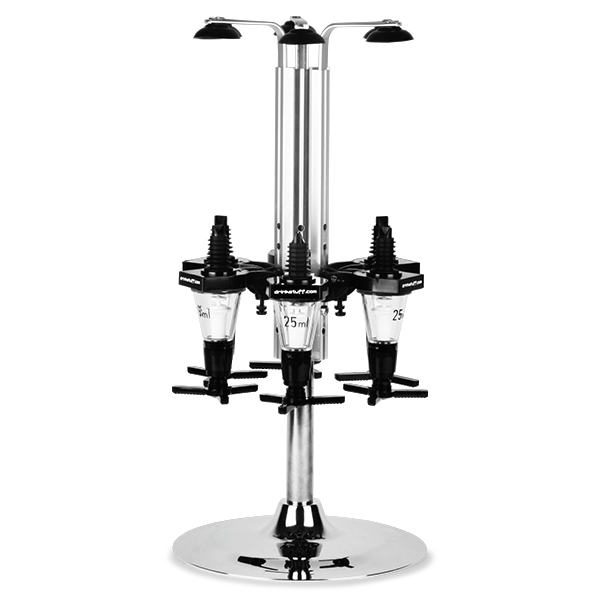 The base and shaft of the carousel are made from a heavy set stainless steel to ensure that stability is a certainty. You are also supplied with six 25ml spirit measures ready to be clipped on to the brackets. Get the complete pub experience in one neat little package! Unfortunately the alcohol is not included! "Really like the carousel and measures, but one of the springs broke so we can only use 5 out of the 6. I haven't had time to return as its for my son's birthday party this Saturday and I need to use this." Drinkstuff says: Thanks for your review Melaney, this comment was passed on to customer services who swiftly sent you out the spare part. 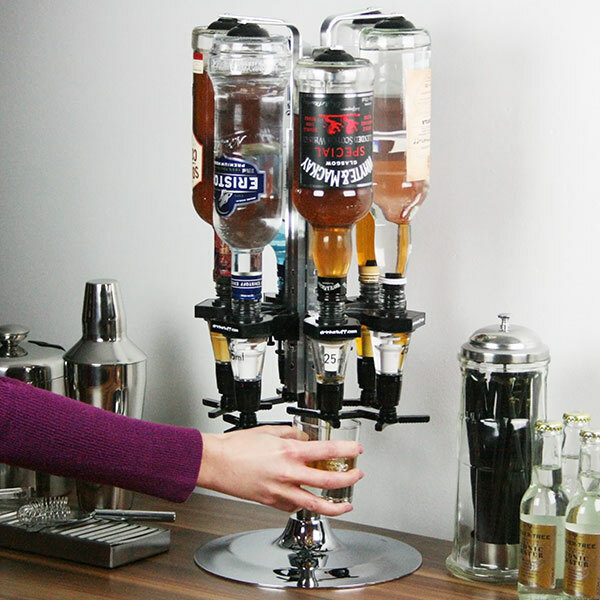 "This fits the bill perfectly, giving us plenty of capacity for spirits but without taking up a huge amount of space. It is well made, easy to put together and feels very solid in use." "I'm glad I ordered this rather than the basic one. This looks solid, the measures could be a bit better though." "Love love love this!. Really heavy duty, and very nice looking. 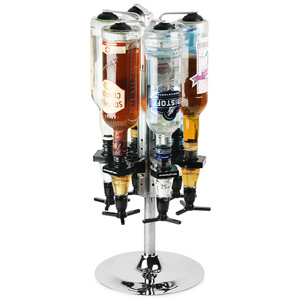 Holds both 70cl and 1litre bottles easily, with a little adjustment for the litre bottles. Very glad we went for the deluxe version as it's classy looking, turns easily without feeling it will tip over, and the measures do exactly what they are supposed to do, giving ample room under the bottles for the glass." 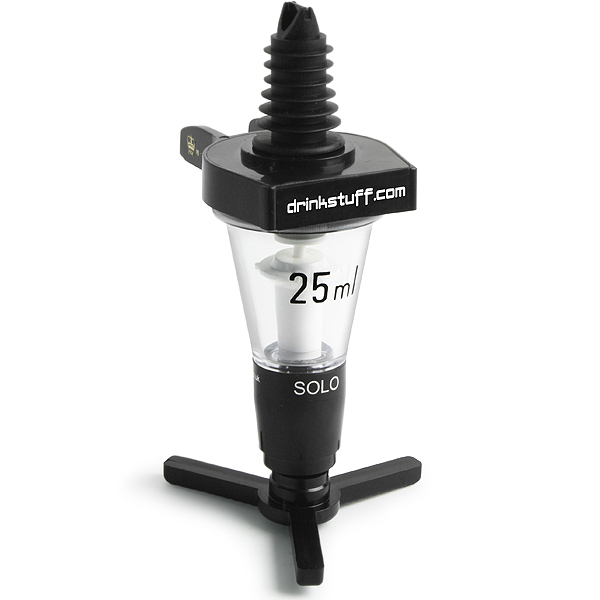 Drinkstuff says: Many thanks for your review. As a thank you we've added 5 points to your drinkstuff account, which is equivalent to £5 off your next order.